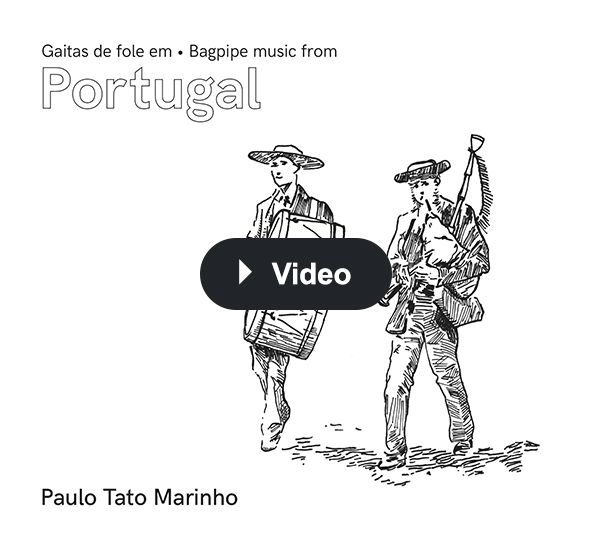 "Gaita de fole em Portugal / Bagpipes from Portugal" by Paulo Tato Marinho is an album comprised mostly of traditional portuguese repertoire, also including originals from several contemporary composers. The different types of bagpipes (mostly iberian bagpipes) are accompanied by percussion instruments but also flutes, vocals and portuguese string instruments among others. 39 songs in 15 tracks with a total of 57 minutes of music. Born 1964 in Lisbon - Portugal. 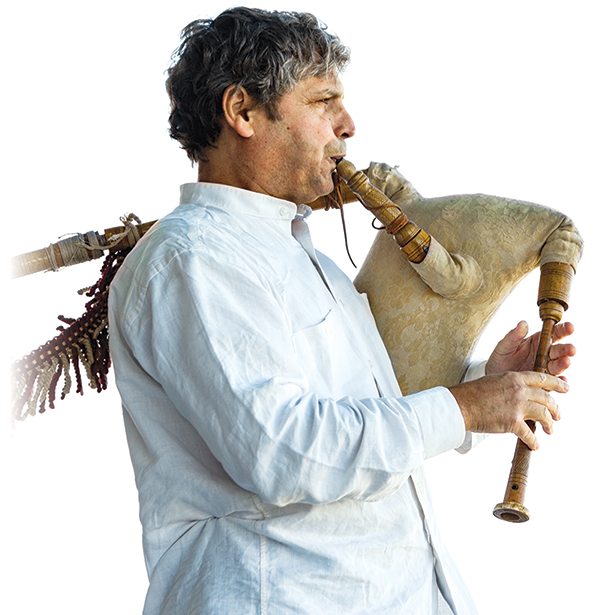 Gaitas de fole (Iberian bagpipes) instrumentalist, teacher, researcher, disseminator, composer and instrument builder. Began to play gaita de fole in 1982. In 1983 joined the pop-rock group "Sétima Legião" and a year later “Anaquiños da Terra” a Lisbon based Galician (Northwestern Iberian Peninsula) music and dance group. Co-founder of the traditional-folk musical group "Gaiteiros de Lisboa" in 92. Co-founder of "APEDGF - Associação Portuguesa para o Estudo e Divulgação da Gaita de Foles", the portuguese bagpipe society, in 1999. Collaborated live and in recordings with various musical projects, since his early days as a musician.